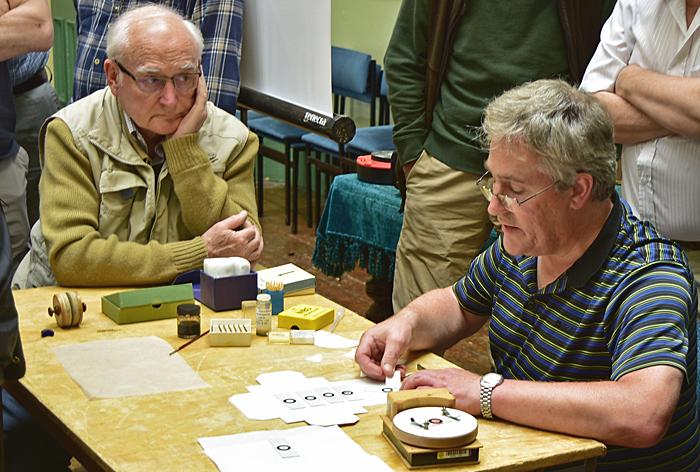 The Leeds Microscopical Society’s annual meeting in Morley was well attended, with a good assortment of sales tables and demonstrations. John Fletcher exhibited a slide of diamond writing by William Webb, shown on a magnificent Watson Edinburgh student microscope, with a three doublet objective. Headingley Microscopes had a large spread of microscope slides at 20p each, plus a few microscopes including a research Leica. As usual the Royal Microscopical Society sales table was ably manned by Peter Evennett and Chris Hammond. There was a variety of Baker and other microscopes together with numerous accessories that you never knew you wanted until you saw them. All proceeds from this went to the RMS fund “Microscopes for Schools”. Lawrence Hartley had a large amount of books for sale starting at a very reasonable £2. 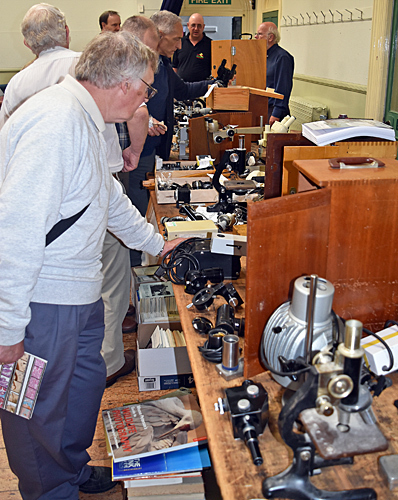 Mike Samworth and Steve Gill made a heroic job in transporting and displaying a vast amount of microscopical gear from the estate of the late Steve Edgar. 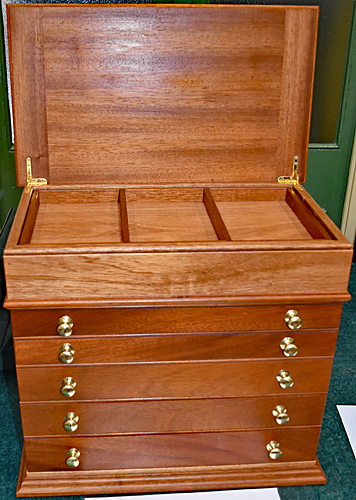 John Birds displayed a beautiful mahogany microscopist’s cabinet, made by himself. It is designed to accommodate 15 cc and 30 cc reagent bottles like those used by NBS. Unfortunately not for sale, although I doubt few could have afforded it, considering the hours of work involved. Smaller tables were manned by June Scott and Mike Smith. The afternoon saw a demonstration by Mike Samworth and Steve Gill on the fluid mounting of diatoms. We also heard some amusing anecdotes from John Birds about the history of the Morley meetings of the Leeds Microscopical Society. 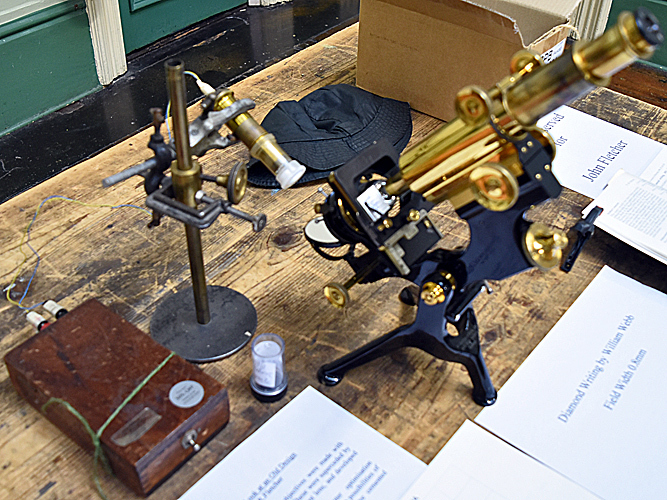 The Quekett Microscopical Club provided a grant towards the cost of this event, as part of its remit as a charity to promote microscopy.